I am a huge fan of anything you can pick out of a jar and eat. My fridge is filled with pickles, olives, marinated mushrooms, stuffed hot peppers… the list goes on. 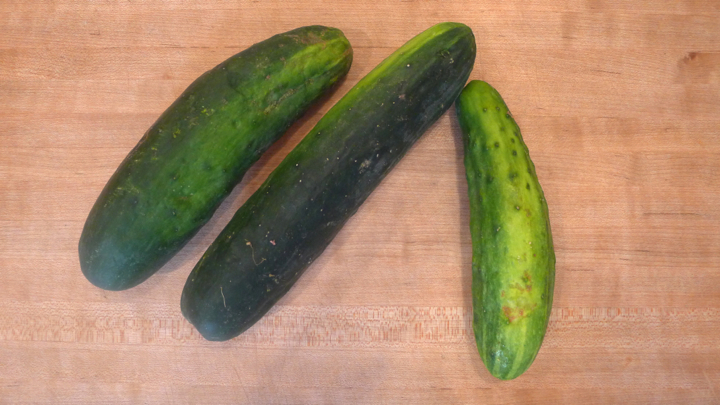 So when I got cucumbers this week in my CSA bag, I figured I may as well just go nuts and add some some bread & butter (sweet) pickles in there too! They’re very easy to make, and if you’re planning to keep them in the fridge to eat over the next few weeks, you get to skip the step of sterilizing the jars. 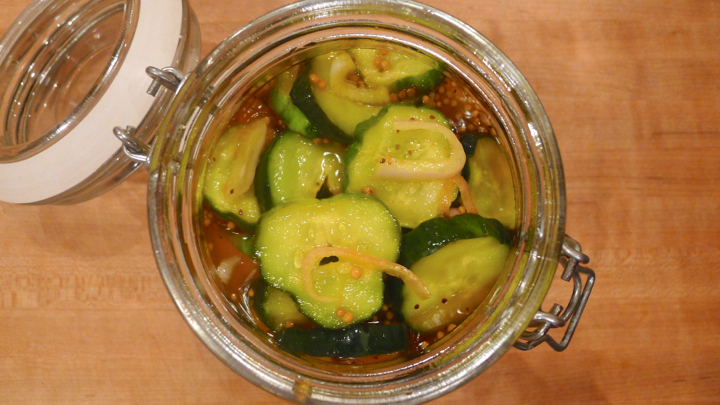 On the other hand, if you’re planning to jar and store these to eat later down the road, you’ll definitely want to bake or boil the jars prior to adding your pickles. Here is a nice little lesson on how to do that from Food52. 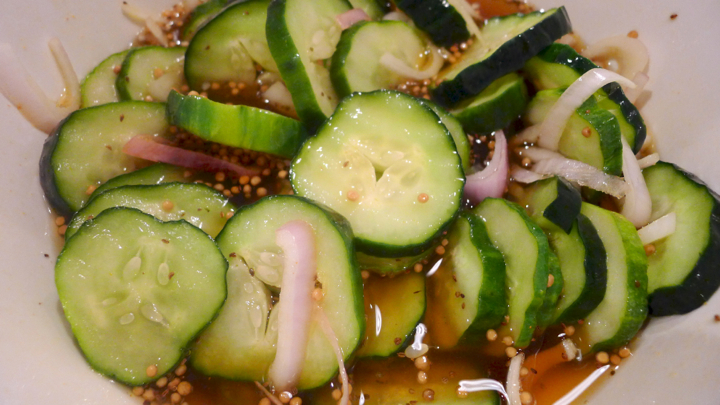 Place the sliced cucumbers in a bowl and add the salt. Mix well so the salt is evenly distributed. Cover and place in the fridge for one hour. Remove and rinse well with water. 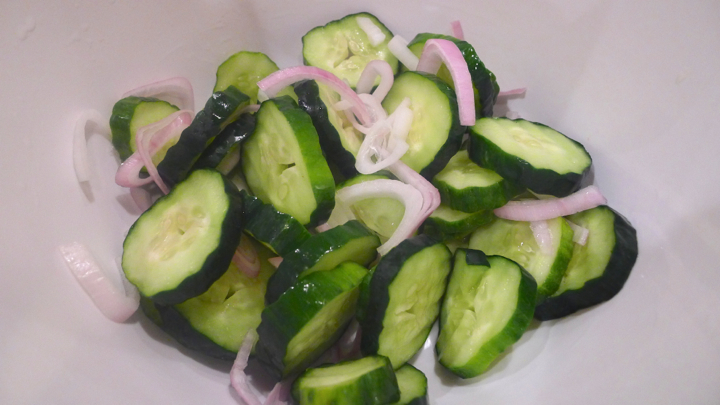 Place the cucumbers and shallots in another large shallow bowl. 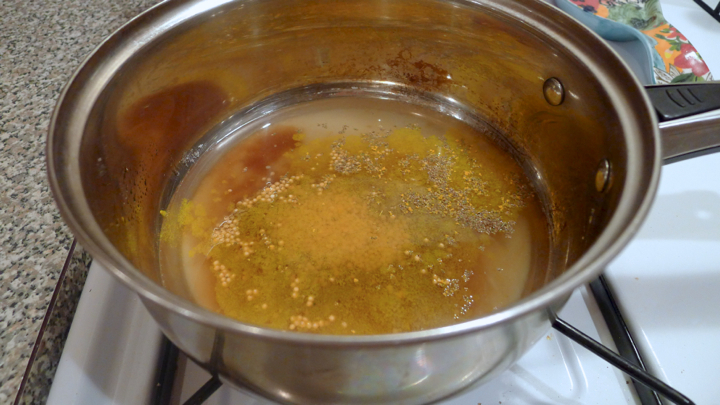 Next, in a medium saucepan the white vinegar, apple cider vinegar, white sugar, brown sugar, mustard seeds, celery seeds, and turmeric. Cook and stir over medium heat until the sugars have dissolved. Pour the liquid over the cucumber and onions and let sit for 1 hour until room temp. 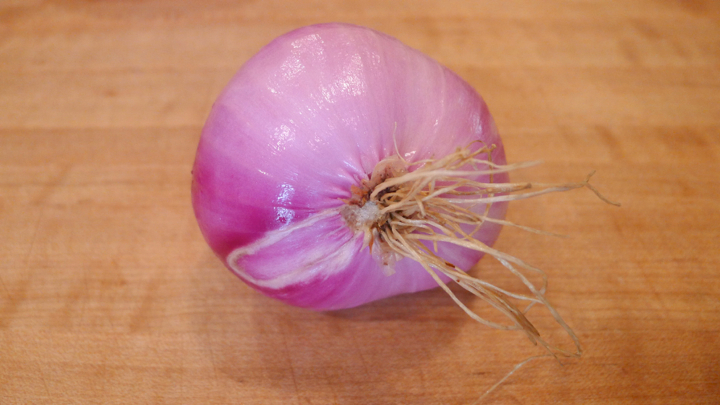 Transfer to your jar(s) and plop right in the fridge. 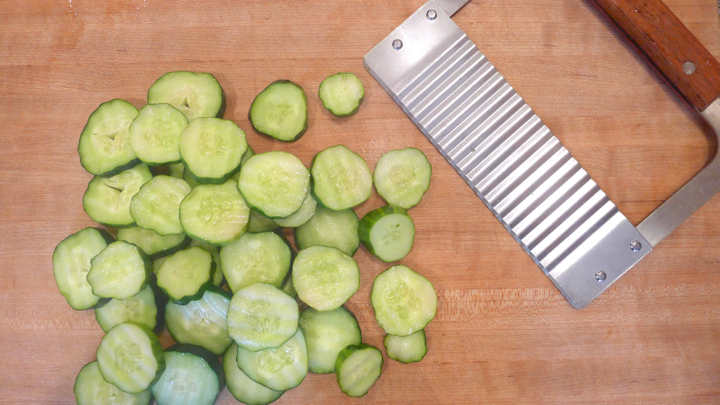 Your pickles will be good to go within 24 hours! And I’m a cuuuuuge fan of the Petite Beet!! !